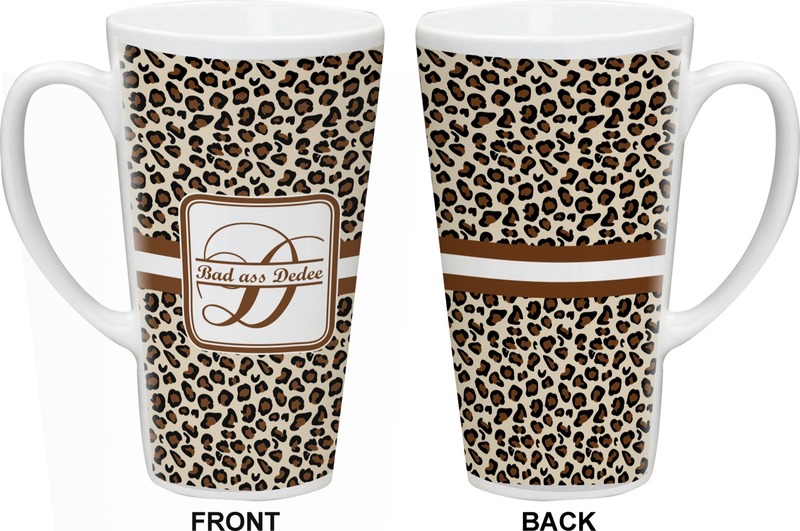 Our personalized latte mug is the perfect addition to your morning (or late night) routine. Its large size makes it the ideal mug to use when its going to be multiple cups of coffee kind of day(or night). 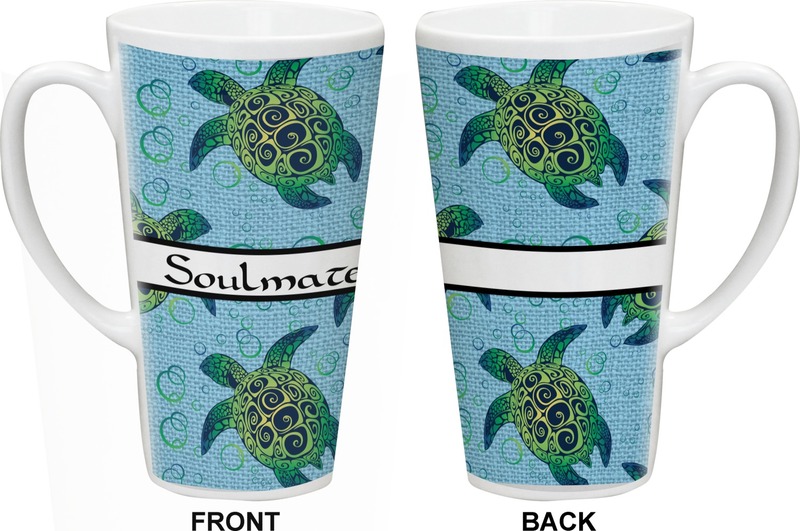 With our large collection of designs, you are sure to find the right one for you and your morning.Not a coffee drinker? This mug works for any beverage. 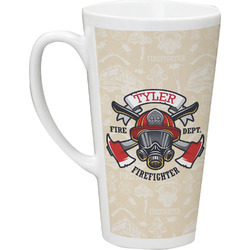 The mug is made from glossy white ceramic, and is 6 inches tall. The design wraps around the mug from either side of the handle. The design fades to white on the edges. 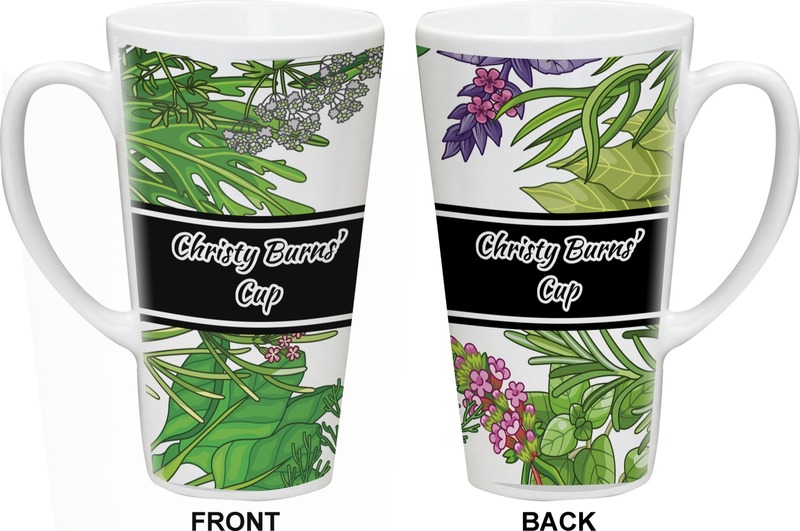 You pick the design, the color,and the font so it is one of a kind (or buy multiple to create your personalized set) for yourself or as a gift! You can further personalize it by putting your name, monogram, initial, or other text of your choice. Absolutely amazing!. Quick, easy, and absolutely perfect. 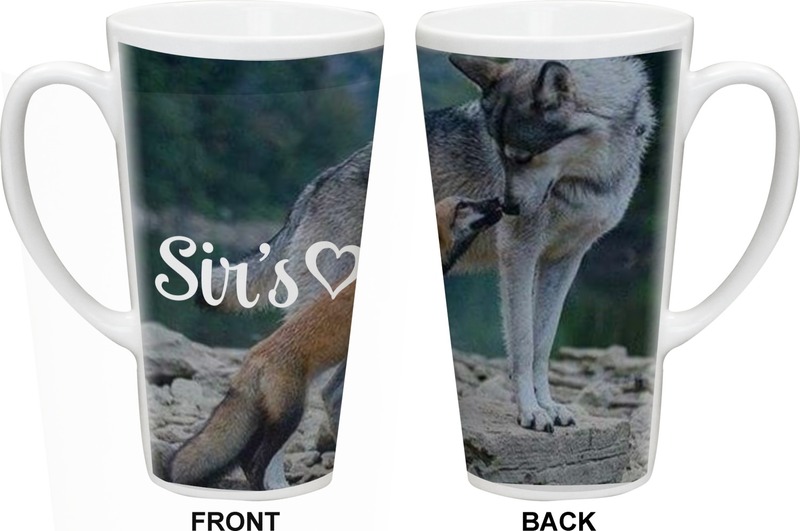 I had a coffee mug made for my husband and they created the perfect one. I designed it, they truly customized it! Thank you! I'll be ordering again. All was great. Shipping was fast. Very happy with how the latte mugs turned out. 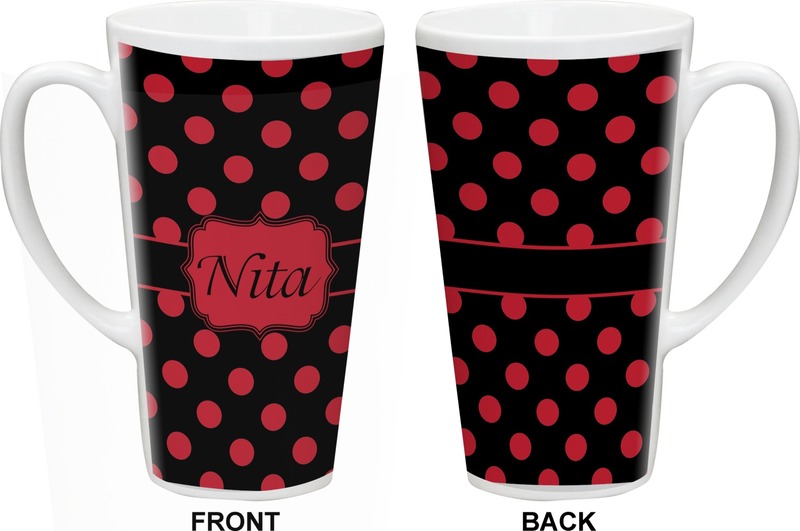 My mother had a mug that had black inside and red outside with white polka dots on it. She accidentally broke the handle, and I searched and searched, but couldn't find another one like it. I found this website and figured that this would be kinda close. Service was fast and they were made as I requested. They arrived in perfect condition too. My wish would be that you could choose black or white for your mug AND that a third color could be added as well.